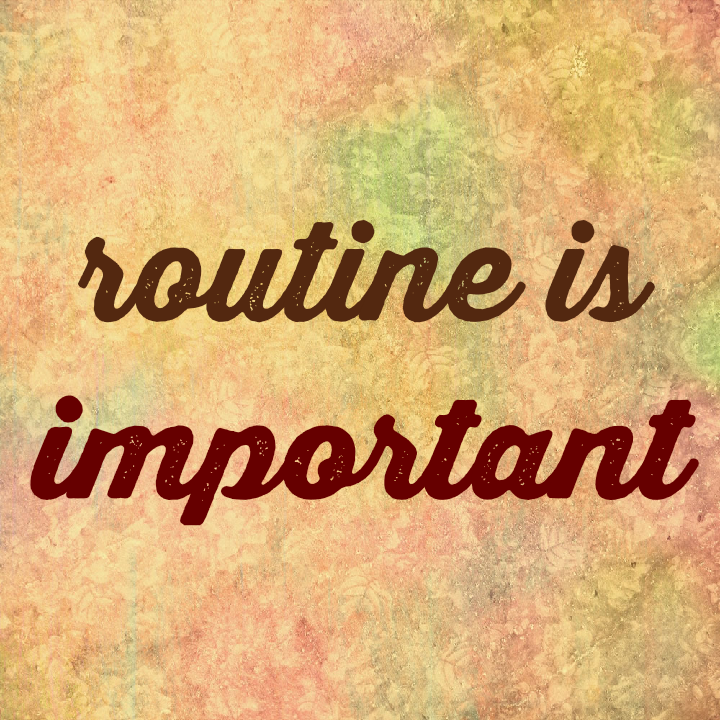 For me, having the bases of a routine is very important. Now I’m not one of those people who has every minute of every day planned out. And a lot of my day is very flexible. I’m not unreasonable. Most mornings I’m up before 6 am. My kids usually gets up by 6:30am and we’re in the car to pick up my nephews by 7:15, at the school by 7:30 home by 8 (some days me and the toddler go get breakfast.) Then I am back at the school in line by 1pm and I sit for an hour and a half waiting for the kids to get out. My kids have baths before 7pm and the oldest should by in bed by 9pm. As you see, there’s a large amount of time that’s not scheduled and thats okay because I know life happens. But when I plan things or I am late, that;s when my anxiety peaks. I feel, well honestly, insane. My skin feels like it’s crawling, my heart races and I start organizing stuff near me like crazy. Having some sort of routine really helps. If my morning is off, I feel like I spend my whole day trying to get everything back on track.